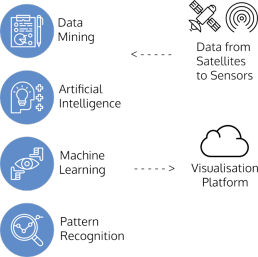 See how you can harness satellite imagery with advanced tools to get automated insights for application in your industry. 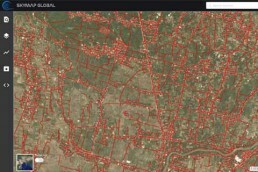 At SkyMap Global, our mission is to help you uncover insights from satellite and aerial imagery. Powered by artificial intelligence and machine learning, we have built efficient and affordable tools that you can use to extract meaningful information for analysis. Uncover insights and discover factors that contribute to economic change and discover/uncover new emerging markets. Detect built-up area and more. The webinar will help you discover ideas on how you can harness cloud computing power and automated routines to harness the full value of a satellite or an aerial image. 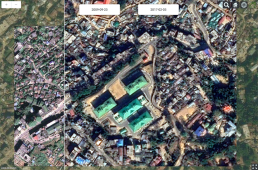 Easily detect infrastructure and classify by building or project type from imagery. By employing advanced deep learning routines, we have automated the process of extracting 2D footprints with accurate geometrical edges. Do away with outdated data and expensive data collection workflows for your app- lication. Easily monitor projects and detect change for any region. 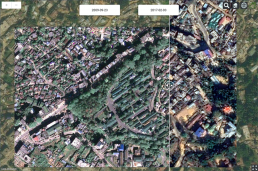 Harness high resolution imagery, cloud computing power and automated monitoring routines to get reports on changes in built-up area automatically. Using the road detection algorithm, you can accurately identify roads and road networks from high resolution imagery automatically. With automatic change detection, you can also identify road construction changes over time in specific regions or at scale. All of this powered by advanced computing techniques.